Material: 100% cashmere, made in Italy. Available colors: black, grey, camel. 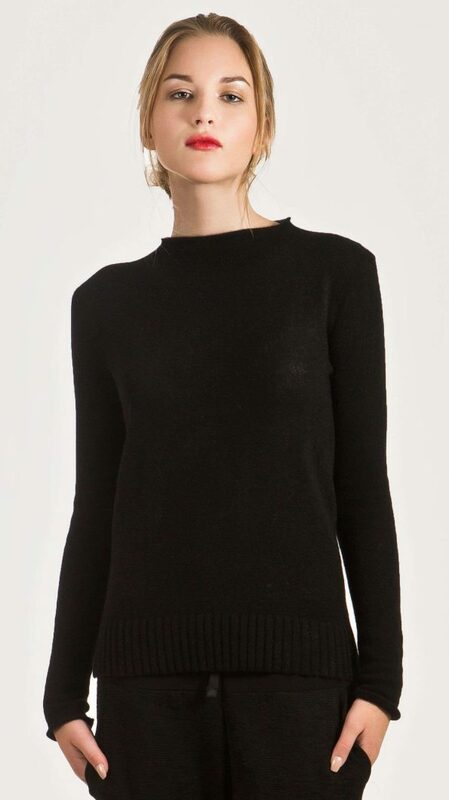 Classic black cashmere crew neck womens sweater ANNA is made of softest Italian cashmere. 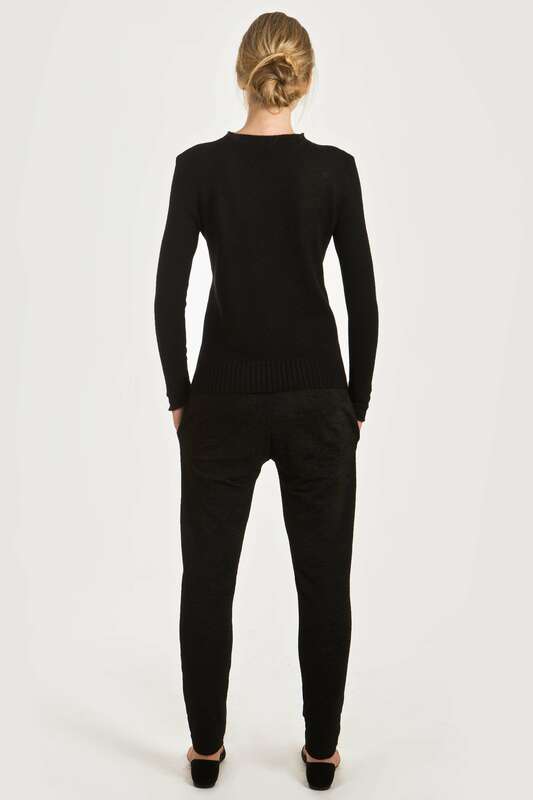 Slim fit, long sleeves, designed with ribbed hemline. Perfect piece for layering. Wear it with pants or skirt. Model is 177 cm (5’10”) and wearing size Small.